New Haven Paving excels at both commercial and residential paving. Our services include extensive commercial paving such as parking lots and private roadways and smaller private residential paving services. Our residential paving services include laying new driveways, sealcoating your current driveway, and performing repairs to your asphalt. We seal cracks, repair potholes, and make sure your asphalt always looks its best. We do our part to give your home excellent curb appeal. You can count on us for the best results in New Haven, CT.
For commercial businesses, we provide a range of commercial asphalt parking lot services. Whether you need a paving company to lay down a new layer of asphalt over top your current parking lot or could use a team to repair any and all cracks in your asphalt, we can help. At New Haven Paving, we are dedicated to being the best at paving your property. We also provide affordable services that make your property look great, whether that’s commercial or residential property. When you’re ready to receive a free quote for your property, simply contact us. Our team of paving contractors will meet with you directly to discuss your paving needs and provide a thorough estimate you can rely on. At New Haven Paving, we proudly provide extensive paving services throughout New Haven, CT. Our paving contractors in New Haven, CT, offer everything from parking lot asphalt paving, driveway paving, asphalt repairs, sealcoating, and much more. We serve the wider New Haven area by offering premium services at affordable rates. As your commercial parking lot paving company, we offer you fast, friendly, and reliable paving services for your commercial property. Your asphalt is the first impression your customers will get of your business. 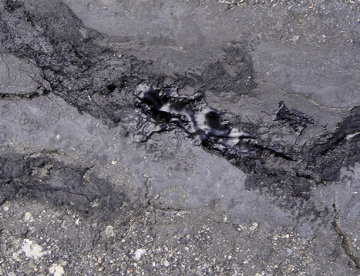 Our job is to polish your asphalt to ensure it is free of potholes, cracks, and serious damage. We’ll do our best to give you an outcome you’re proud of. Our parking lot installations are designed to give your business a parking lot that looks great for years to come. We do everything in our power to refine your parking lot from the ground up. From leveling the ground underneath your parking lot to adding the final layer of asphalt, we perform every step to the best standards possible. Turn to us for parking lot installations. We provide parking lot resurfacing for commercial property. What is resurfacing? 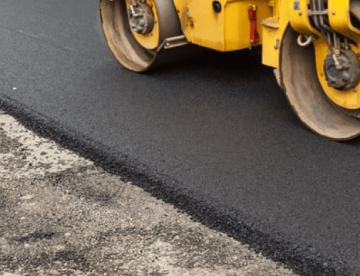 Well, asphalt resurfacing is a great way to remedy cracks and potholes in your parking lot or driveway without paying for a new layer of asphalt. The process is direct, high quality, and makes your asphalt look great. For all your commercial asphalt parking lot repairs in New Haven, CT, simply reach out to our team. We specialize in pothole repairs, crack sealing, and much more. All you have to do is contact us for premium repairs at a price that you’ll be happy with. Sealcoating is another service we provide throughout New Haven. Our team of top rated, experienced, licensed, bonded, and insured paving contractors offer affordably priced parking lot sealcoating services. Sealcoating protects your parking lot from the elements, every piece of asphalt should have this service done. Striping, or marking, your parking lot or other commercial property is a service we offer. We make sure your parking lot is up to the latest standards for commercial properties. When you’re ready to have your asphalt striped for safety, simply reach out to the New Haven Paving crew. At New Haven Paving, we proudly provide our commercial customers throughout New Haven, CT with the best asphalt services available. To get a free estimate for your next commercial asphalt paving project in New Haven, simply contact us. We’re eager to help. Asphalt driveways are another area we specialize in. We use premium materials and a time-tested process to ensure your driveway always looks its best. 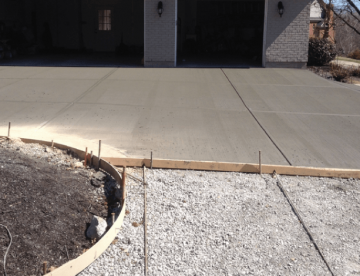 Are you planning on installing a new driveway? If so, our crew at New Haven Paving can help. We are top rated, bonded, and licensed and are proud to deliver the best installations available in New Haven. For more information about our new driveway installations, simply contact our team today. What about repairs and sealcoating? Does your driveway need a facelift? If so, we are here to help. We can spot a crack or pothole from a mile away and get to work to repair it quickly. Our sealcoating services are equally important and ensure your asphalt continues to look its best for as long as possible. Don’t wait to hire a professional driveway asphalt paving company to fix your driveway. After all, this is perhaps the most important piece of curb appeal you have. Let us make it look polished and attractive. When you’re looking for driveway asphalt paving services in New Haven, CT, look no further than our team of paving contractors. We are fully licensed, bonded, and insured, and are happy to give you a good rate on our services. To get your free estimate, simply reach out to us via our contact form. Find out how much your driveway will cost you by reaching out to our killer team of asphalt paving contractors. We’ll give you an accurate cost estimate quickly. Does your commercial parking lot need to be paved, repaved, or repaired? If so, we offer free parking lot quotes you can count on. To get your estimate, simply contact the New Haven Paving company today. Factors that influence our free quotes include square footage, the cost of asphalt at the time, and what type of equipment is required to perform your service. However, we always give our commercial and residential clients a fair price. Contact us to get your free quote today. New Haven, CT is a gorgeous coastal city sitting on Long Island Sound. It also happens to be home to Yale University, and at The New Haven Museum you can learn more about the local history. We proud to provide service to this incredible area.